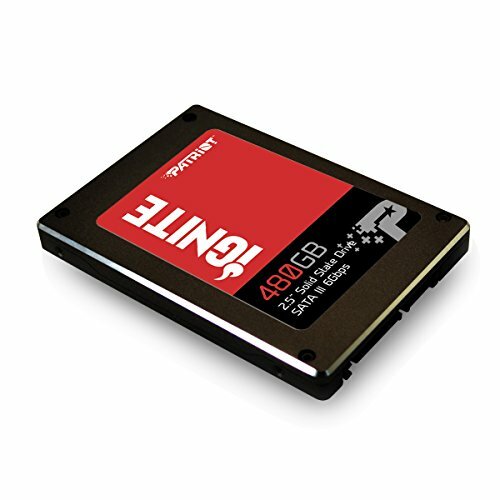 The Patriot Ignite Solid-State Drive (SSD) is the perfect way to enhance computer response times. Ignite offers transfer speeds of up to 560 MB/s read and 545 MB/s write to eliminate bottlenecks for near instantaneous load times. With performance of 80K IOPs on 4K random reads, Patriot's Ignite is the perfect solution for workstation computing, gaming, and prosumer level content creation. At only 7mm high, in a 2.5" form factor, the Ignite will fit in any Ultrabook or laptop. Patriot's Ignite has built-in intelligent advanced wear-leveling and ECC recovery at 115bits/2KB, to ensure its superior performance for the life of the drive. Ignite is compatible with Windows XP, Windows Vista, Windows 7, Windows 8, Windows 8.1, Mac OS X, and Linux systems. Backed by Patriot's award winning build quality and 3-year warranty; the Patriot Ignite is the most reliable choice for upgrading your PC for optimal performance. Phison S10 series SSD controller paired with qualified MLC NAND for optimal performance, value, and reliability.